This companion to the popular book "Theory for the Contemporary Guitarist" starts with the basics of pitch discrimination and leads you to making fine distinctions between interval types, chord types, scales and chord progressions. Everything is organized in a handy workbook format with correct answers provided for all exercises. Examples are shown in standard music notation and TAB. 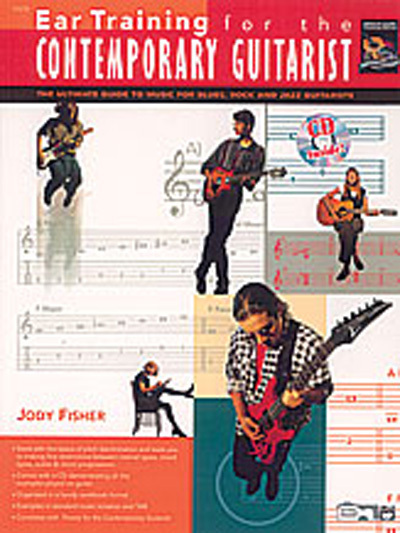 A CD demonstrating all the examples played on guitar is included.